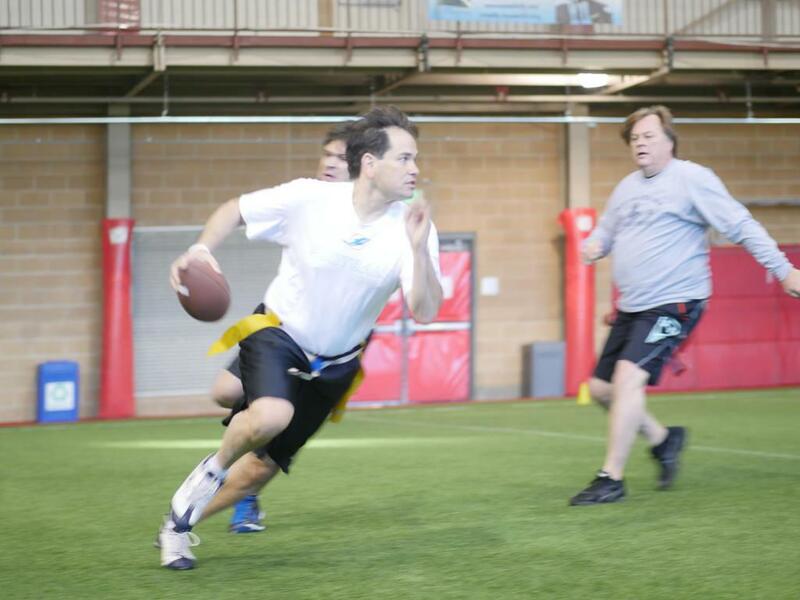 Senator Marco Rubio (R-FL) was seen scrambling to his right Friday morning… on the gridiron. At day 2 of the E2 Summit in Utah (a Mitt Romney hosted conference closed to the press), Rubio was spotted in his Miami Dolphins tee showing off some of his skills with the pigskin. In a conveniently positioned photo, the Senator from Florida appears to roll out of the pocket, while being chased down by some seemingly gassed pass-rushers. Fun fact: Rubio originally went to college on a football scholarship. The former South Miami High School standout played at Tarkio College in Missouri for a year before transferring to Florida’s Santa Fe Community College — eventually graduating from the University of Florida. Rubio isn’t the only 2016 hopeful getting sporty. Last week, Governor Chris Christie (R-NJ) took part in a celebrity softball game benefiting slain NYPD officers Brian Moore, Rafael Ramos and Wenjian Liu. Lindsey Graham on skates, Hillary Clinton flashing some post moves or Jeb Bush bending it like Beckham are high on our list of other possible photo-ops.